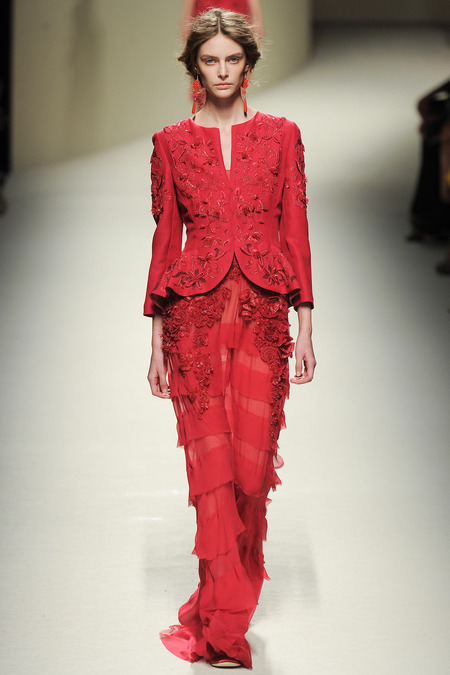 Alberta Ferretti has been designing clothes for over four decades and has continued to create a colorful and bright collections year after year during Milan Fashion Week. 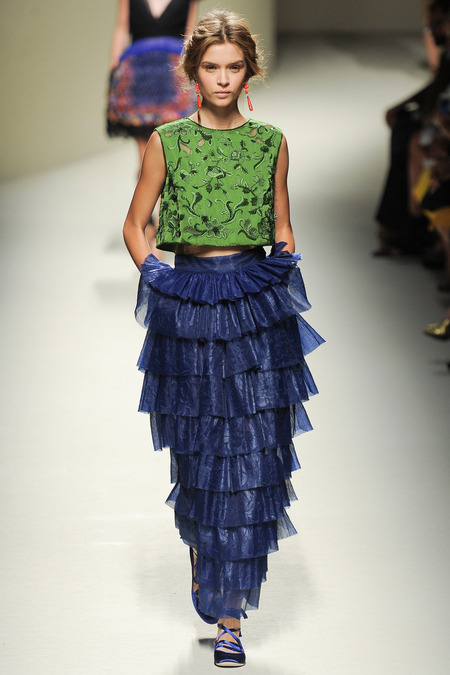 She is known for creating “light as air” clothing that flowed as a models walk down the runway. 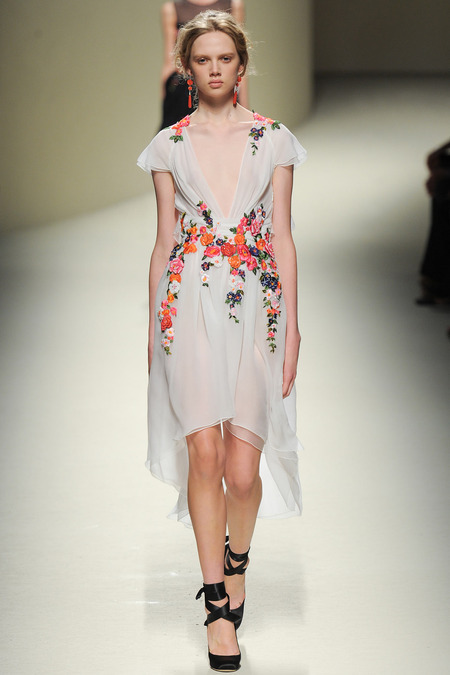 Ferretti’s Spring/Summer 2014 collection showed off the designer’s embroidery skills on white and black linen dresses with floral details. 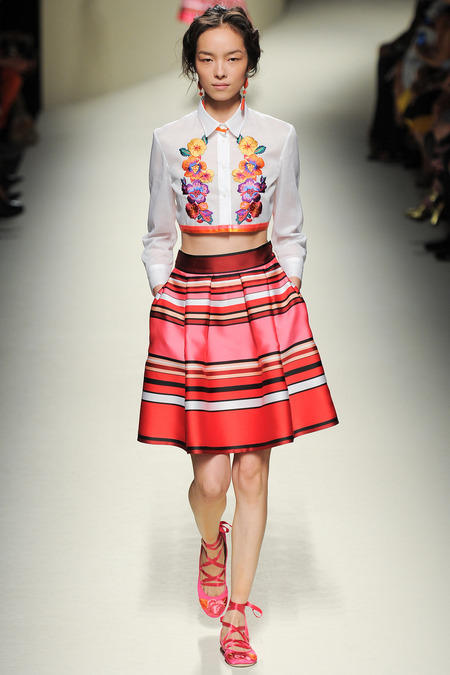 There were also multi-colored ribbon details on many of the runway looks. 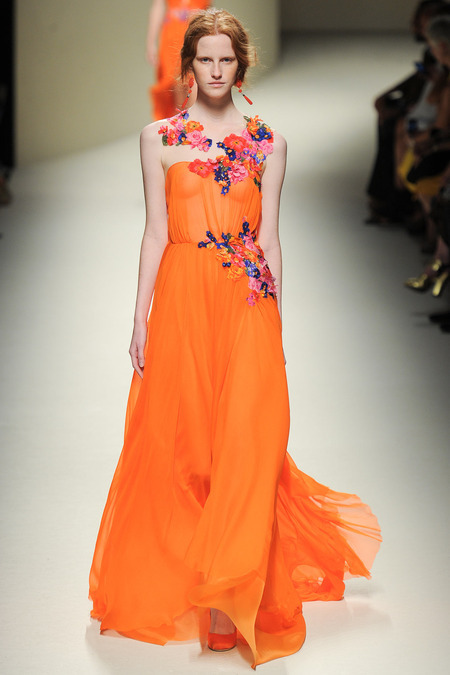 She is also was not afraid of creating bright dresses in blue, orange, green, and pink that stand out in a crowd. 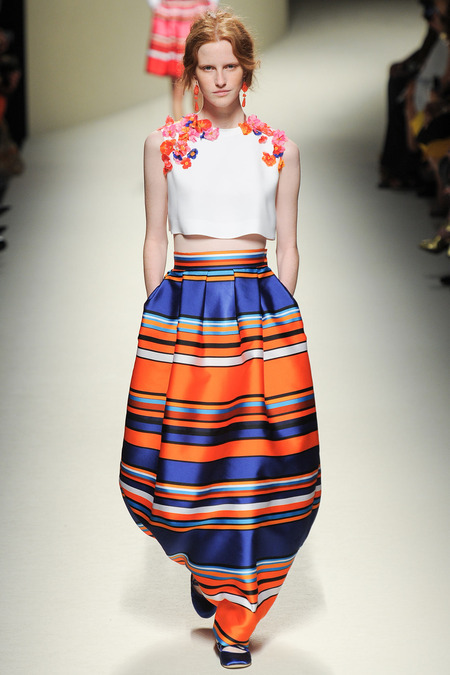 There were even skirts with horizontal stripes in various colors with volume. Not to mention the stunning coral earrings! Until Next Time… I’m Gavo Capote.